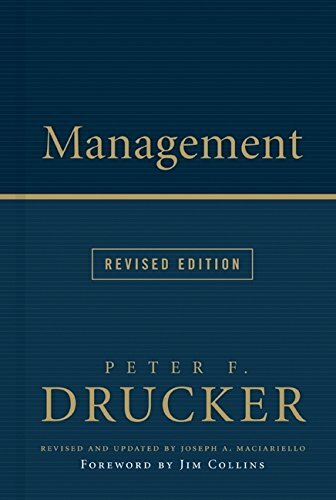 Management Summary provides a free book summary, key takeaways, review, top quotes, author biography and other vital points of Peter F. Drucker’s famous book Management. It’s accurate to say that Peter F. Drucker penned the book on management. But, only if you use it in the plural sense. During his lifetime, Drucker published 34 key works. These include 15 on enterprise management. Drucker saw the managerial exploits of the top companies of the 20th century first-hand. 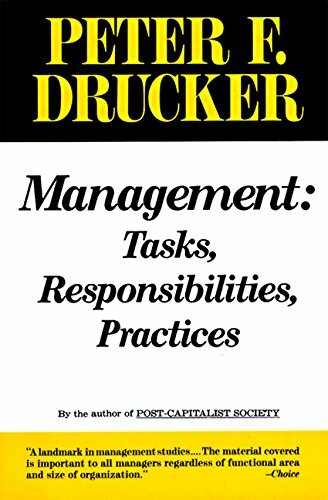 This is an update to his 1973 bestseller Management: Tasks, Responsibilities, Practices. It covers Drucker’s take on most of those companies. Joseph A. Maciariello revised it to include later texts of Drucker. 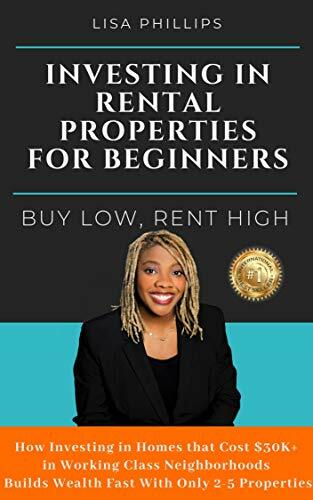 This edition consists of all elements of management. Besides, there’s a diverse range of topics. For example, corporate governance, NPOs and knowledge workers. We feel that you can’t do better than read Drucker to learn management. This is a masterpiece. Why is management critical to today’s firms? Management grew as an organizational field of study. This’s the most crucial business development of this century. Big organizational are likely to fail in the absence of professional management. Management principles were used to create the Marshall Plan during WW-II. Professionals help in the planning and development of their companies’ missions. They outline goals for employees. Spread key information, organize systems, and track performance. Good managers relate with their seniors, peers, and juniors well. The perfect manager is one who’s a working boss. And not someone who coordinates others’ work. “Knowledge workers” need good managers to work to their full potential. In the 20th century, management rose as an organizational field of study. This’s the most crucial business development. The demand for management practices increased. This was especially when knowledge work became the trend. During the 1900s, 90% of the people had domestic service or blue-collar jobs. This was true for the whole world. But as economies grew, the demand for skilled labor increased too. “Knowledge workers” take their skills wherever they go. Hence, they’re the owners of their means of production. Firms also sought to compete on grounds besides cost. Thus, the efficiency and quality of their managers became their edge. Case history shows the key role managers play in large companies. In 1905, Henry Ford began the Ford Motor Company. After 15 years, Ford was the leading automobile producer in the US. Still, by 1927, it fell to the 3rd place. The company clung to this rank for the next 20 years. So, what went wrong? Henry Ford didn’t believe in management. Instead, his corporate mantra suggested “owner-entrepreneur.” Under this concept, the helpers assist the owner. Henry would sack any worker who tried acting like a manager. Or someone who’d take an independent decision. The order giving power was Henry’s, and he expected abidance. Because of this approach his company started falling. When Ford was No.1, General Motors ranked second. GM was a loose conglomerate of tiny car firms. The company didn’t have any dealer firm. It didn’t follow any single automobile system. But, its president Alfred P. Sloan Jr. strongly believed in management. When he took control of the 1920s, Alfred built a team of strong managers. And within five years, GM beat Ford to reach the No.1 position. Management as a discipline grew on its own. Two factors had a unique role in facilitating this. These were: the growth of intra-continent railroad in North America and universal banks in Europe during the 1800s. The business dynamic changes because of these major enterprises. Business context changed from sole owner-entrepreneur and centrally located organization. Instead, it turned into a multi-shareholder, globally spread structure. During the 1880s, Frederick Winslow Taylor measured America’s worker efficiency. Henri Fayol developed the notion of an organizational structure during the same time. Before the WW-I, German writers wrote about the impact of big industrial firms on society. This discipline, called Betriebswissenschaft created classic managerial sciences. These include decision theory, managerial accounting, and operations research. Around the same time, Hugo Muensterberg linked psychology to management practices in the US. He was the first one to do so. When WW-I ended, Herbert Hoover and Thomas G. Masaryk, used management principles to organize aid for war-torn Europe. Hoover was then only an American engineer. And Masaryk was a Czech historian. These two were destined for public service. Hoover became the presidents of the United States. And Masaryk became the first president of the Czech Republic. The two statesmen advocated management as a tool to rebuild Europe post-war. The post-WW II Marshall Plan had the marks of their ideas. The leaders of developing firms like Sears, DuPont Co., and Unilever also used management approaches. Strategic planning and goal setting were key approaches. Management is imperative. It’s a must for all big companies which depend on people. Managers guide employees to make sure all their actions contribute to company success. Help in developing an organization’s mission statement. They then incorporate actions to attain it. Direct workers to achieve business goals efficiently. Help the company fulfill its social responsibility. For service firms like hospitals etc., this implies providing healthcare. And for businesses, this means meeting consumer demands. Five main functions that allow resource integration into a workable organism, outline management’s role. Defines goals and sets those goals which workers have to attain. Arranges jobs and allots them. He ensures that the right people get the proper roles. Communicates and motivates to shape employees into effective teams. He/she also conveys information about the company. Sets targets and standards which measure outcomes. These standards also clarify results to ensure the firm is on the right track. Nurtures people by hiring, training and developing them. Managers take sound decisions. These, in turn, help keep everyone in the organization moving on the right path. Managers must be great communicators. This is because they need to explain what’s needed and why. They plan, arrange and control budgets. This helps in ensuring that the company wisely spends its resources. They also check and convey internal information. This enables operations with the most reliable data. Managers obtain external data which the firm needs to stay updated. Firms need to build expertise and savvy managers. When determining a manager’s job, ensure the title depicts the specific task. For example, a market research manager. Don’t build the role around the personality. Instead, build it around the function. A job description must define the real contributions which the manager is supposed to make. Avoid basing a manager’s span of control over the number of people managed. Preferably, base it on the extent of managerial relations. For example, very few people may directly report to a CEO. But, these people work together to make the company run. Hence, they represent various relationships. And the CEO is responsible for all those relationships. In contrast, a Walmart regional supervisor manages many store managers. These are his direct reports. All these store managers do the same thing. But, still, they don’t interact with each other. This enables the regional manager to oversee a more substantial number of people. A manager’s job lies within a web of relationships. This means sideways, downward and upward. Hence appoint people who can relate with their peers, seniors, and juniors well. Besides, set authority levels as per the job’s parameters. Unless expressly forbidden, managers must take responsibility for their decisions. Use usual performance appraisals to review management abilities. Ensure that managers have a direct role in setting their goals and KPIs. “The too-small job” – Managers must evolve in their roles. Or else, their performance will deteriorate. Better to allot a job which’s too big, rather than too small. “The nonjob” – Be careful of “assistant to” roles. Jobs without clear goals, responsibility and duties are harmful. They destroy both the persona and the company. “Failing to balance managing and working” – Managing doesn’t need full-time work. Hence, managers must be efficient in their practices. The perfect manager doesn’t just coordinate others’ work. Instead, he’s a working boss. “Poor job design” – Managers must be able to do their jobs without excessive travel, coordination, and meetings. “Titles as rewards” – Avoid inflating job titles as compensation. Ranks unearned are empty gestures which degrade both the managers and the company. “The widow-maker job” – Few jobs even damage the best managers. This is due to the fundamental mistakes of the roles. Decision making is the key job of a manager. To decide better, always verify the information’s validity. Ensure it’s crucial to take a decision. Issuance of many unwanted declarations is a misuse of resources. This may also reduce your credibility. Know the kind of issue you’re facing. Is it unique or generic? Can you solve it under conventional operating norms? Or will you need a new way of thinking? If required, compromise. You’ll only end up with the correct decision. Get a “buy-in” from all people who’ll implement the decision. Make sure that steps follow decisions. Define what’s needed. And accordingly, allot responsibility. Check the real outcomes of your decision. Do it personally. Obtain the feedback to verify the validity of your decision. Make a “boss list” which records the people to whom you report. 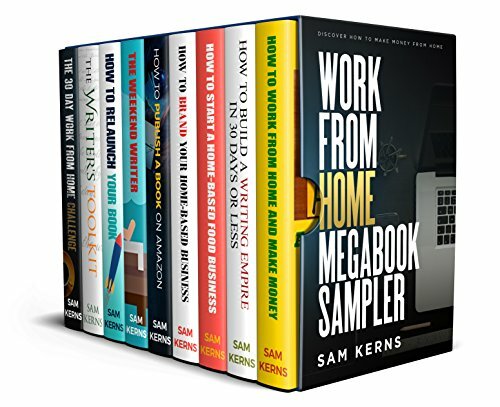 This list must show the people having an input in your work. The people who review you and your team. Also, include people on whom you depend on getting the job done. Ask every person on this list, yearly, your actions which aid or impede their work. Request them to do this for you as well. Reflect on what they say. Promptly respond with methods to improve. Allow your bosses to work. For this, understand how they work. For example, see if your manager likes ad-hoc or scheduled reports. Consider if you must present them in writing or orally. Also, find what time during the day is ideal for them. Downplay your bosses’ weaknesses and play their strengths. This will help you build trust. Regularly inform your manager of what you’re up to. Also, update him on your team’s work. This will not only get you his approval but also his confidence. Ensure not to keep your boss in the dark. Don’t ever undermine your boss. You may lose your job. This book is a very good explanation of all key aspects of management. 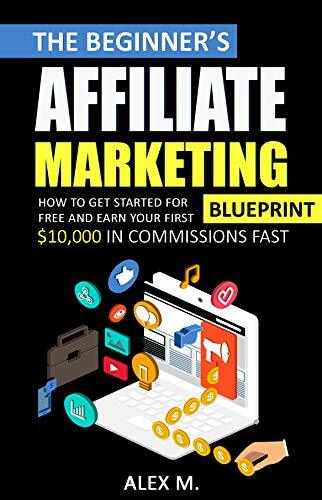 One of the quotes from the book suggests that what this book is all about, and it is said in the book that “In the 20th century, [modern] society became a society of organizations. Organizations depend on managers – are built by managers, directed and held together by managers and made to perform by managers”. So, this book is primarily focusing on 20th-century organizations and the management of these companies. It has tried to explore why management can be so critical to a firm’s cause. As mentioned above in the quote from the book that organizations are made held and built by managers. It means that the role of management in every aspect of an organization is critical, which cannot be neglected. There are various management functions, which allow an organization to move forward in the right direction. The book also focuses on how management field evolved over the period. In the 20th century, the management was included in the field of study, which is part of an organization. If organizations do not manage their affairs with professional management, then things are going to be worse for them. Every organization has a mission, and to achieve that mission, they need proper planning, and professional managers are the ones, who will drive organizations to their actual mission. The book revealed some of the critical traits of managers, who successfully lead their organizations to their ultimate objectives. Like successful managers have the essence of developing a good relationship with their peer, juniors, and seniors. Everyone is valued in their eyes as they know that success cannot be achieved alone. Instead, it will be reached by a collective effort. The other great trait of good managers is that they make people more effective and productive for an organization. So, anyone looking to get a good insight into the concept of management, this book will certainly help in this regard. Peter F. Drucker (1909-2005) was a writer and influential thinker of management practice and theory. Joseph A. Maciariello collaborated with Drucker’s for 26 years. After reading this Management Summary, do you have any comment which can be shared with us? We are looking forward to hearing from you! You mentioned the key to success. I agree with you that good decision makers do not make so many different types of the decision but focus on the best decisions that create the difference between others and that is basically the key to success. Managers job require decisions on the daily basis. Without having effective skills towards decision-making managers cannot take better decisions. You are right, without clear goals jobs and duties are harmful. Managers must build the habit of developing clear goals to ensure success for the company. I have worked as a project manager for a private company. Therefore I recommend that students (who want to be the manager in future) and managers must have the quality of SMART goals development.